trystack.cn, powered by 99cloud, offers a variety of courses and online resources which make it possible for students to learn how to install, deploy and manage OpenStack. It also demonstrates how its components and APIs work from very senior experts. 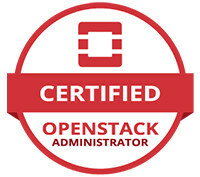 Highly recommend,personally!The 99cloud instructor Liang Bo is very senior in OpenStack.And the course is all based on their experience-the most valuable.It helps me understand the problem in my job and find the way to solute them.Great to have a nice OpenStack course in Chinese!